Word-of-mouth advertising has been one of the most potent tools in the history of business. We instinctively value the words of other customers. In the virtual world, reviews are the next best thing to word-of-mouth advertising. There are many business review platforms online, but Google has an advantage over them all. With over 3.5 billion searches daily, this search engine giant is one of the first that customers turn to when they need a product or service. 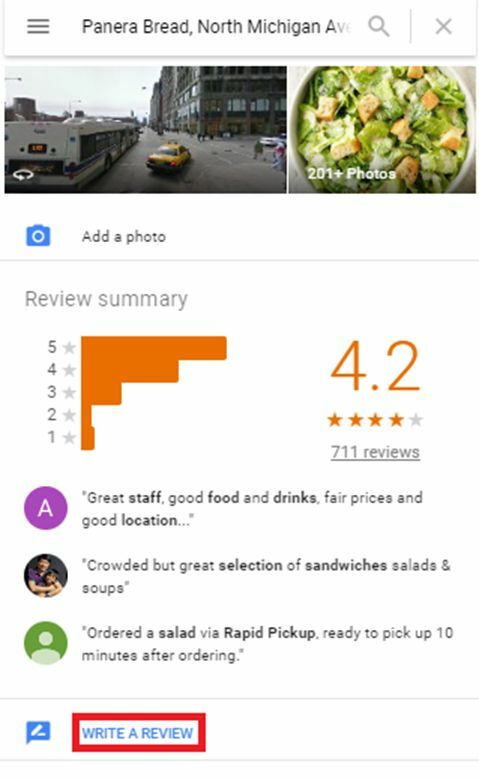 Google reviews can go a long way to boost the reputation of your company online and provide customers with information about your business. According to Bright Local Survey, in 2017 up to 97% of consumers read online reviews, and as many as 85% of them trust these reviews. It is often said that the Internet creates a level playing field for big and small companies to compete. Nowhere is this more evident than in terms of reaching individual users. A negative review on Google can go a long way to ruin a company’s image, just as much as a positive review can make the company look attractive. While we all know the importance of reviews, getting Google reviews is easier said than done for many reasons. Many customers are simply unwilling to take the time to leave reviews. Even worse, many businesses do not know the importance of online reviews and do not make it easy enough for customers to leave reviews. As a result of this, many companies resort to fake reviews. Sometimes, people go to the lengths of posting bogus reviews about their own companies. Others pay people to develop make-believe reviews. The problem is that fake reviews are easy to spot, and Google reserves the right to take down reviews that violate its policies. Genuine reviews are invaluable to a company’s online presence. Here are some hacks to ethically acquire lots of Google reviews. Ensure your company is listed on Google. You must appear in Google search results for customers to be able to leave reviews about your product or service. For this to happen, you must verify your business with Google. 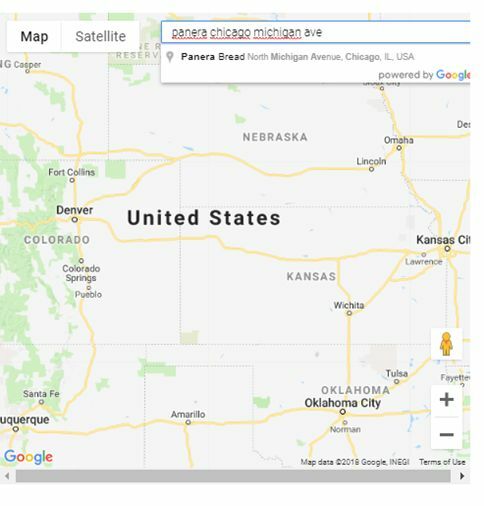 Click here for instructions on how to get your business listed on Google Search, Maps, and more. Apart from giving customers a chance to leave a review about your company, there are many advantages to getting listed on Google. For example, your contact details including your website, physical address, phone number, business description, working hours, customer ratings, and more are displayed when customers search for your business on Google. This online presence is invaluable. What’s more, this service is entirely free. You do not have to pay Google any fee to have your company listed or any yearly maintenance fee to keep the listing up. 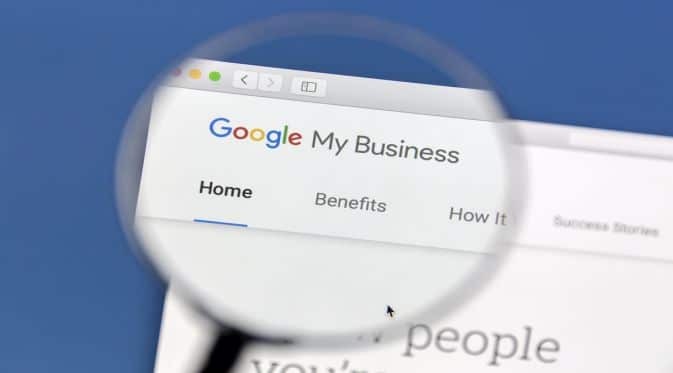 When your business is listed on Google My Business, you also benefit from analytics information including data about which people are viewing your company listing. This information can be beneficial in beating the competition and reaching out to your target market. Tell your customers to review your company on Google. One of the main reasons why customers don’t leave reviews for companies online is because they don’t think it is essential, and companies fail to emphasize its value. This notion is straightforward, but you’d be surprised at how useful a reminder to customers to leave reviews can be. Getting feedback from customers is a crucial part of the customer service experience. Therefore, you must invest time and energy to ensure you are getting Google reviews. There are many useful feedback management tools that you can use to engage with customers. You can send out emails to customers or create a pop-up message that appears on your site/app to direct customers to leave a review after they purchase a product or try your service. Timing is critical when asking customers to review your company on Google. It is best to ask customers to review your company after interacting with them. For example, if a customer orders from your online store. You can send them an email to have them grade your customer service and leave a review on Google after the product has been delivered. Not only are customers more willing to comply using this method, but they will have something tangible to say about your company based on their recent experience. It is paramount not to bombard customers with requests to review your company. That may drive them to leave a negative review. Make it easy for customers to leave reviews. If you want customers to leave reviews about your business, make it easy for them to do so. For example, you can provide them with a single link to click to post a review rather than leave it up to them to take the initiative to leave reviews. Here is a simple idea that you can use to direct customers to leave 5-star reviews for your company. 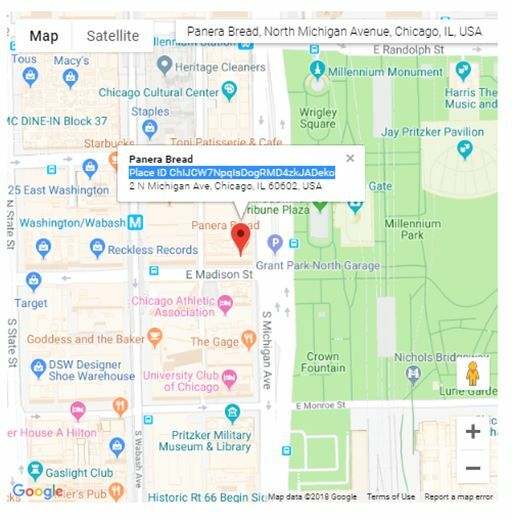 Find the place id of your business on Google Maps by visiting https://developers.google.com/places/place-id and typing in the name of your company. Click search and copy the place ID that displays for your business. 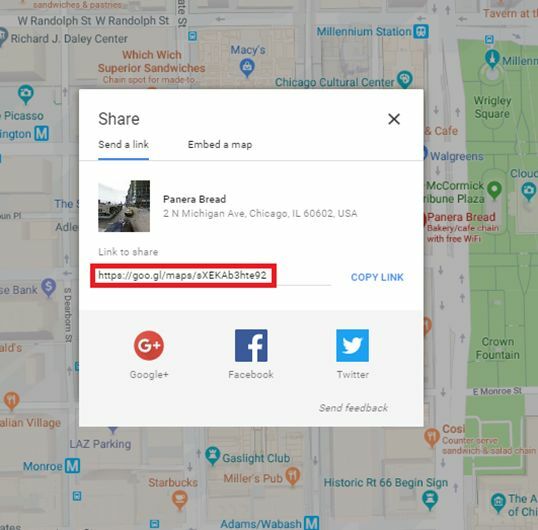 Once you have the place id, add it to the end of this URL (https://search.google.com/local/writereview?placeid=Place_ID_HERE. This link will redirect customers to a page like the one below where they can quickly leave reviews for your company. You can use the Google URL shortener to make the URL appear more attractive. Another more straightforward way to do this is to search for the name of your company on Google. This will redirect you to a page to write a review. You can copy the URL you are redirected to, and make it available to customers so when they click it they can easily post reviews. Again, you can use Google URL shortener to reduce the length of your URL. Another way to do this is to visit Google Maps and type the name of your company in the search box. When your listing appears, click ‘Share.’ Under ‘Send a link,’ you will find a short link that you can send to customers to post on your site. 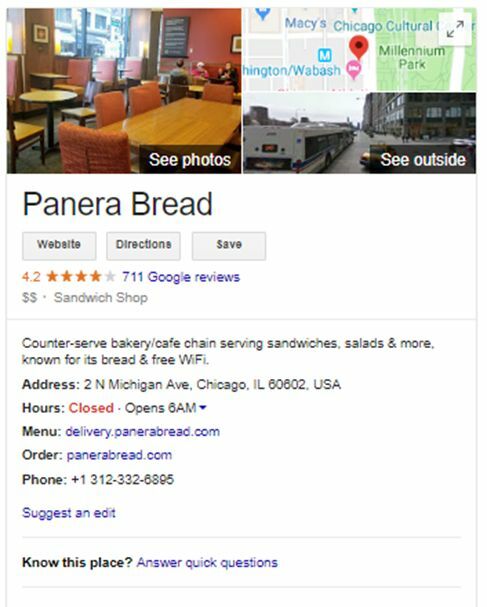 When customers click the link, they’ll be directed to your listing on Google Maps. Customers can review your business by scrolling down on your listing. 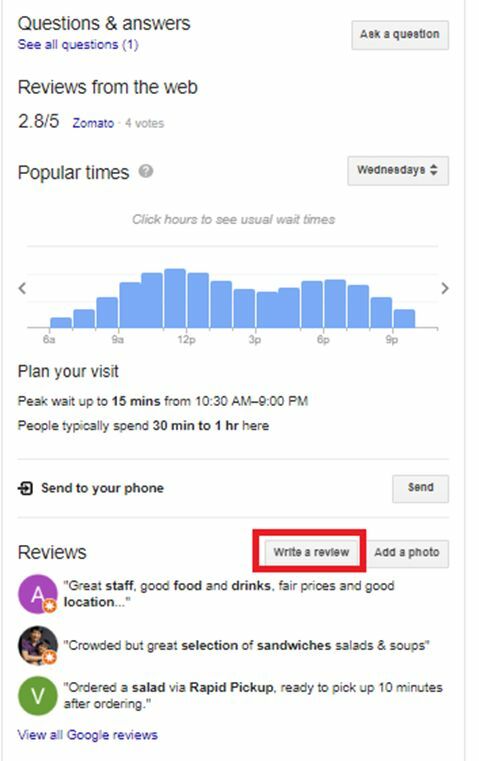 If you are going to use this method, you must take the time to explain to your customers that they have to scroll down to find the ‘WRITE A REVIEW’ button because it is not immediately apparent. Apart from directing customers to leave a review of your business, you must also show them how to do so. A few screenshots and short text can push the less technologically savvy customers to review your company because they can see how it is done. Respond to customer reviews – both the good and the bad. Make it a point always to respond when customers leave a review about your company on Google. And do not only pick positive reviews to respond to. Even the negative ones deserve feedback. Everyone feels crucial when they see that their opinion is valued. Responding to customer reviews will not only inspire those customers to leave more reviews about your business, but it will also impress potential customers. Another tip that you can employ to make your response to customer reviews more effective is to personalize your message by referring to each customer by his/her name. Also, if customers leave a negative review, address their concerns and reassure them. Users feel that they are part of a community when you listen to their complaints and take appropriate measures. This can go a long way to strengthen their loyalty to your company. The truth is that you cannot satisfy every customer. Sometimes, customers leave bad reviews about companies for the most absurd reasons. When you find negative reviews about your company, your focus should be on how to resolve the issues highlighted in the reviews and not to agonize over the fact that they exist. Remember, you are not merely communicating with that single customer but every other person who reads the review thread. Studies show that when businesses resolve issues quickly, a majority of unhappy customers will come back to patronize them. Sometimes, negative reviews can be fake reviews left by your competitor or a disgruntled employee. While you can report the fake reviews to Google to have them taken down, you have to prove to Google that the reviews were falsified. This is not always easy. These four hacks are bound to get you lots of reviews on Google. Businesses that have high ratings appear higher in Google search engine results. It also strengthens the image of your brand online. Reviews can even inspire action among undecided customers. There are many other ways to get lots of positive reviews on Google. However, these are some of the most effective, time-tested methods. The only issue with some of the tips mentioned above is that customers need to be signed into their Google Mail account before they can leave reviews. 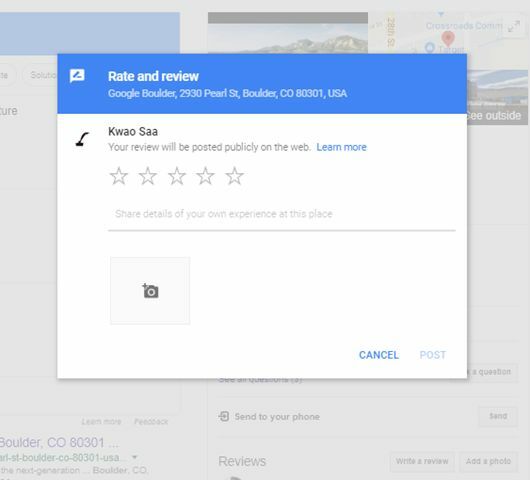 In the past, you needed to have a Google+ account to review local businesses. However, that requirement was removed a few years ago. Now, all you need is a Google Mail account to review businesses. Automate it with review management tools! Now that you know about these tactics, it is time to implement it. But doing this means investing time daily. This is why it is important to rely on tools that automate the process for you. If you are looking to score more five-star reviews for your business, monitor your online reputation, keep tabs on your negative reviews and much more, check out https://www.myreviewengine.com/ . This review management software simplifies the process of getting positive Google Business reviews for your business. It automates the process of soliciting for reviews from customers, and helps you monitor the reviews posted about your company among other vital tasks. Start your Free Trial here!